The complete solution to wet or dirty golf equipment, this cracking Fazer Towel, constructed from 100% thick and highly absorbent cotton, is both large enough to keep all of your golf equipment dry, improving grip, but also small enough to conveniently store away in your golf bag. Also benefitting from a handy hook attachment to hook this superb Fazer Towel onto your golf bag for easy access. 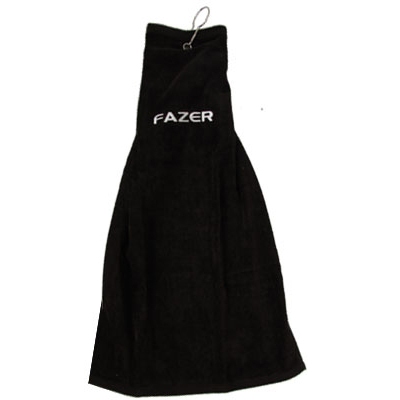 This fantastic Fazer Towel 2010, the ideal addition to any golf enthusiasts bag.